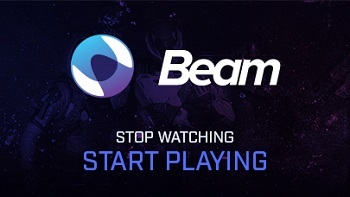 Beam Integration Mod is created by tjhasty84 that will allow you to chat to and receive chat from Beam.pro, as well as Follower and Subscriber Alerts if you are a streamer. /bcpass BeamPassword - Set you beam password to log in with. /bclogin AuthCode - This mod will not auto-login when TwoFactor is enabled, so you must type this in chat in order to complete auth. Stays active until Minecraft is restarted. /bc MSG - Sends your message to the beam channel you are connected to. /bcchannel Channel - By default you connect to your channel, use this to connect to another Beamers channel. /bcuser BeamUsername - Set your username to login with. /bcondeath MSG - This will send a message to your chat only, if you connect to another channel it will be disabled to prevent spam. Use "_DeathMSG" (Without Quotes) in place of your death message (The chat message that is sent in game when you die). This is ideal for bot ran death counters. /bcsub on/off - Same as /bcfollow but for Subscribers. /bcfollow on/off - Enable/Disable the in game follower alert. /bcleave - Drop connection to Beam. /bcsub sound on/off - You get the idea. Nothing else to it! 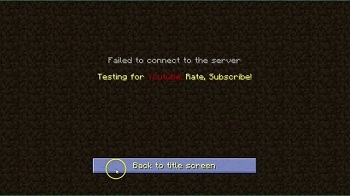 Requires Minecraft 1.7.10 and 1.8, and currently working on 1.6.4 and Java 1.7 or above, and is a client only mod, meaning a server does not require it to run. This is still in beta and probably still has issues, so please let me know if you find any. - CommandsPlus: Here are not verry command included jet. Simple Portals Mod is created by Zarathul that is a mod that adds constructable portals that allow intra- and interdimensional travel between them as long as they have the same address. The portal is constructed similar to the nether portal. It needs to be rectangular and can be of any size between 3x3 and 7x7 (intermediate sizes like 3x6 also work). The 4 corners of the portal must be filled with any combination of simple blocks (non-tileentity). These 4 blocks represent the portals address. To activate the portal right click with the portal activator on any of the inner faces of the portal frame (just like you would with flint and steel and the nether portal). The portal activator can also be used by a dispenser. The dispenser must face the block in front of any of the inner faces of the portal frame. Can be build in different sizes 3x3 up to 7x7 (default). Can I put your mod in a modpack? Can I use a different item as the power source? Yes. You can set the item that provides power to portals in the config (ore dictionary is supported). Can I turn off the power system to use the portals without any cost? Yes. Just set the power cost to 0 in the config. What's up with the "Player moved to quickly!" messages in the server log? You can safetly ignore those. It's an unfortunate side effect of teleportation that I couldn't get rid of. 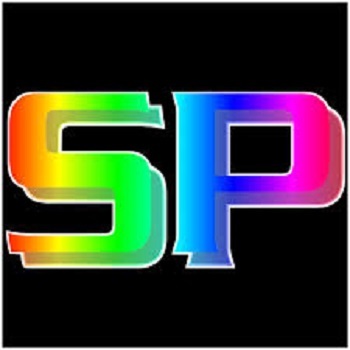 Spindle mod is created by Emx2000 that creates pixel art directly from web images! Voilà! Your pixel art has spawned, centered horizontally from where you're pointing at, and going upwards. Simple as that! Another limitation, the mod only uses the available 16 colors of wool to recreate the image. From version 2.0, Spindle supports most blocks! You can now toggle between using all blocks and using wool only. Spindle is however not resource pack based. Hence, changing resource packs won't change the way the mod generates the pixel art. Currently, the mod only provides a way to create a 1:1 scale pixel art. As of version 1.1, Spindle supports scaling! Switch through scaling modes of 1:1 (1 pixel per block), all the way up to 1:32 (32 pixels per block). © Emmanuel Maximus Yohanes, 2016. Unauthorized use and/or duplication of this material without express and written permission from this site’s author and/or owner is strictly prohibited. Excerpts and links may be used, provided that full and clear credit is given to Emmanuel (Emx2000/Emx1995) with appropriate and specific direction to the original content. Whitelister is created by Quetzi that is a simple whitelist fetching mod. When configured it will pull whitelists from various sources and update on a configurable schedule automatically. If one of the whitelists is unavailable it will use the cached list. Note the whitelist should be disabled in your server.properties. Do other players need to have this modification installed? Does it work on every server? No, other players don't need to have this modification installed! This modification works on every server. What does this modification exactly do? You can customize the circles and modify their radius, as well as disable this modification (configuration or by pressing the H key) without uninstalling it. A circle isn't drawn if you're dead, the player is dead, the player is invisible (to you), the player is a spectator (1.8), the player is sleeping, the player is sitting inside a vehicle or if you can't see the player. In addition, there's a configuration option to detect simple NPCs so that no circe is drawn around them. 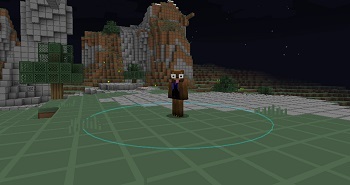 You can also configure if you want to have a circle drawn around all players or only the closest one. As already stated above, this modification visualizes the hit range by drawing circles around every player. It is quite easy to understand if you take a look at the images below. First, install Minecraft Forge for 1.7.10 or 1.8.9. Second, download this modification and put the downloaded JAR file into the mods folder in your .minecraft folder. That's it, you're done! Note: Version 1.0 and 1.1 are no longer available for download because they were beta releases and therefore unstable. Version 1.2 and above are recommended to use. 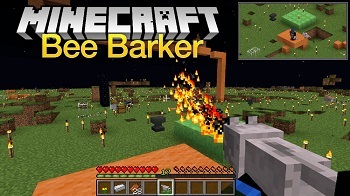 - You need Minecraft Forge 1.7.10 or 1.8.9. Simple Refinement is created by FyberOptic that is a simple way to process your iron and gold into refined versions. 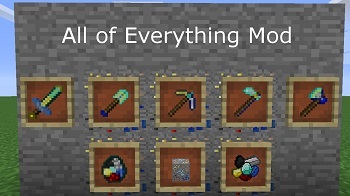 This mod adds no new items into the game. Iron is iron, gold is gold, no matter how refined it is. You can still mix and match refined ingots with regular ones in your crafting without issue. Anything that you craft using all refined ingots also becomes refined. In the case of any tool, weapon, or armor, they gain a 50% bonus to durability. This may seem like a lot, but diamond is still more durable than refined iron, and refined gold will still be relatively poor. Refinement is not an enchantment, so you can still enchant your tools as well. To do so, simply run your ingots through a furnace again. You'll now notice the "Refined" tag on them, and anything you craft using all refined ingots will now also have this tag. Once it's all calm, just drop 'em like you'd drop an item and you can have your best friend back! Just be careful though, if you didn't exhaust their bee stock, they might let one or two go when they bark! These bees sting so bad, they even bypass the hurt immunity when something gets hurt. Be stung enough times and you'll wish you'd never gone near the wrong end of a pet wolf, for it's sting is worse than it's bark...? You know how dogs sometimes eat grass when their stomachs are upset? Well, now you can feed your pet wolves flowers to have them stomach bees! If you have Forestry (untested), you could even just feed them bees right away! What's the use of this you ask? Well, in dire emergencies, you pick up your best friend and with a brisk tug of their tails, they regurgitate the bees they've swallowed from the flowers. Simple Biome Compass is created by JamDoggie that was a fun little project that ended up turning into a thing, but here it is! 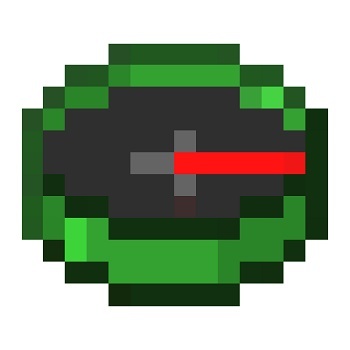 To get a biome compass, craft a disabled biome compass, then find biome shards in loot tables. Then, craft the biome shard with the disabled biome compass. -don't hesitate to report bugs. It can fail, but only if the biome you are looking for is not in a 30000 block radius, or if it just misses it. Right click the compass and it will find the biome, say the coords in chat and point to it. If you don't want it to show coords, you can disable it in the config. This is Candyland, a mod made by Herieman. 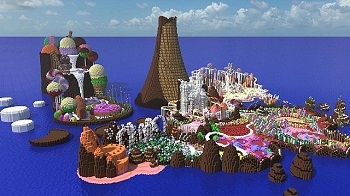 In this mod you will find a new Biome called Candyland. As the name already suggests, Candyland is made entirely out of candy, candy trees, candy creatures, even the ground is made of candy! With this also new items and recipes are added to the game, candy recipes and candy items ofcourse. No ofcourse it is! How els would you explain a land full of candy? Personally i think this is a great tool to speed up the process of creating a mod, i use this to create the base of the items and then i code over this to create the more complicated bits. For the base of this mod i used the program called MCreator, as i used this program i am forced to say this in my topic. Ofcourse i will keep updating this mod as i come up with more ideas and a few things are already planned for the future. Thank you for checking out my mod, it was a lot of fun to create this project and i hope you will enjoy it as much as i did! So far the mod has been fairly simple, but you'll see more of this in the future!